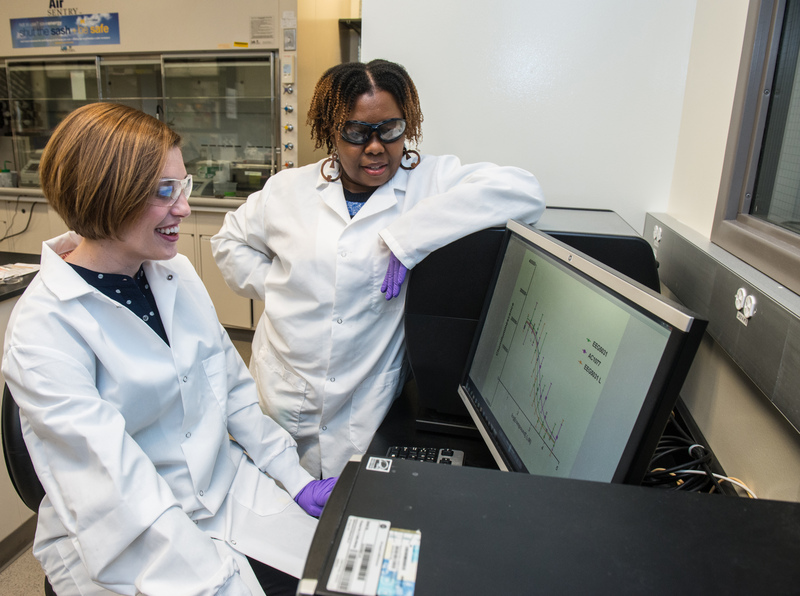 Dr. Leyte Winfield in Dr. Amanda Garner's lab in the North Campus Research Complex. The University of Michigan College of Pharmacy is committed to the creation of a diverse workforce in pharmacy and pharmaceutical research. In support of this goal, the College has created the Sabbatical Connections Program, which offers a sabbatical appointment to faculty to support their research, while fostering a reciprocal relationship with faculty and departments at minority serving institutions. “Mascots and Bar mitzvah,” Tiffany Haddish colorfully declares the title of the first chapter in her book, The Last Black Unicorn. In true Tiffany Haddish fashion, the book is a hilarious and colorful interpretation of her life thus far. I feel slightly guilty as I find amusement in even the lowest parts of her story. But, she’s a comedian, so I laugh despite myself. The book is a much-needed contrast to the intensity of my last read, We Were Eight Years in Power, by Ta-Nehisi Coates. I enjoy listening to audiobooks while working in the lab. I challenged myself to listen to fifty audiobooks during my sabbatical. The Last Black Unicorn is audiobook number thirty-four. To complete the challenge, I must finish sixteen books in three and a half months. Personal goals! The beautiful thing about sabbatical is that your mind is free to fully explore random thoughts, and you set and follow-through on personal goals with minimum guilt. That has been my experience when I am not pulling 12-hour lab days on North Campus at the University of Michigan. I am Dr. Leyte L. Winfield, a teacher, scholar, administrator and avid multitasker. I have been in the academy for fifteen years. During this time, I’ve led academic initiatives and served in various administrative and committee roles at my home institution, Spelman College. Further, I have established a successful research program in the area of drug design and organic synthesis. Outside of the lab, my research focuses on characterizing student agency and promoting equity for women of African descent in STEM. I am equally passionate about both projects although the later has been the priority for the past five years. As an individual whose work addresses diversity in higher education, I am intrigued by the University of Michigan's commitment to and the College of Pharmacy’s (COP’s) efforts towards diversity, equity, and inclusion (DEI). For this reason, I applied to the COP’s Sabbatical Connection Program and was selected as its inaugural visiting associate professor. Being in the program has provided me the opportunity to reflect on the next step in my career while advancing my lab-based research and contributing in meaningful ways to the College’s DEI initiative. I first visited the University of Michigan in spring of 2015. Following my visit, I was contacted by Dr. Amanda Garner who expressed interest in two possible collaborations 1) analyzing my benzimidazole-based compounds using assays developed in her laboratory and 2) adopting her research for use in the undergraduate curriculum. One project in the Garner Lab employs click chemistry to track the enzyme-mediated cleavage of pre-microRNAs. I have utilized these assays to test thirty-two novel molecules against two pre-microRNAs. The structural templates of the molecules include benzimidazole-based sulphonamide, dihydropyrazole-based admantane, and berberine analogs. Additional assays are being conducted to determine the binding affinity of the compounds for the pre-microRNAs. I hope to use the data in a QSAR analysis of the pre-miRNA binding potential of various small molecules. A second aspect of the work with Dr. Garner will include the development of course-based research modules and independent research projects. Authentic work is believed to be superior to traditional lab work in not only promoting mastery of lab techniques and critical thinking but also in improving retention and performance in STEM courses. With this in mind, Dr. Garner and I are exploring ways to make work done in her lab fiscally and structurally attractive for the undergraduate curriculum. This effort will extend beyond the sabbatical period and will expand to include colleagues at Spelman College and Xavier University. My primary research training is in organic synthesis. In line with this, I have been able to refine the synthesis of a novel set of compounds, benzimidazole-based guanidine derivatives. The four-step synthesis is aided by microwave irradiation, a technique I will be introducing in the Garner lab in the synthesis of prodrugs. In terms of diversity, equity and inclusion, I have worked closely with Dr. Regina McClinton (College of Pharmacy) and Edmund Graham (Rackham) to stimulate conversations addressing partnerships with Minority Serving Institutions (MSIs). I have promoted holistic practices for the selection of graduate students and faculty and influence plans that nurture the success of these individuals within the college. In particular, I am currently serving on the COP’s working group for DEI recruitment and retention and act as the Liaison for Inclusive Teaching for the University-wide initiative. In partnership with Dr. McClinton, I have hosted several conversations regarding the legacy of Historically Black Colleges and Universities (HBCUs). This included the “Tell Them We are Rising” film viewing and panel discussion co-sponsored by COP and Rackham. I have also facilitated connections to colleagues at other institutions involved in diversity efforts. Taken together, these activities have allowed me to influence conversations regarding the value of HBCUs and the approach for creating quality, sustainable partnerships with these institutions. My time in the program has provided me an opportunity to explore a rich research environment and participate activities related to diversity equity and inclusion. I look forward to continuing these efforts throughout the summer as I focus on developing several publications related to the described activities. 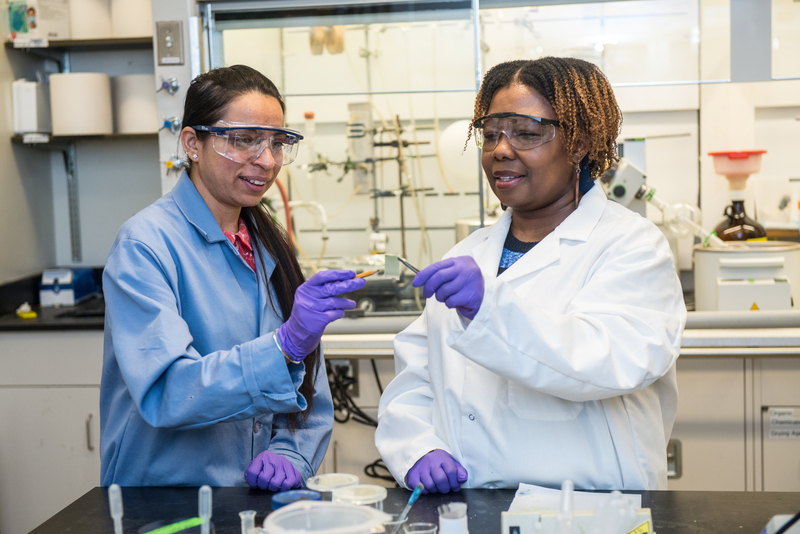 The Sabbatical Connection Program is an excellent opportunity for senior faculty who demonstrate a commitment to diversity in STEM and are looking to reestablish or advance their research careers. By Leyte L. Winfield, Ph.D.